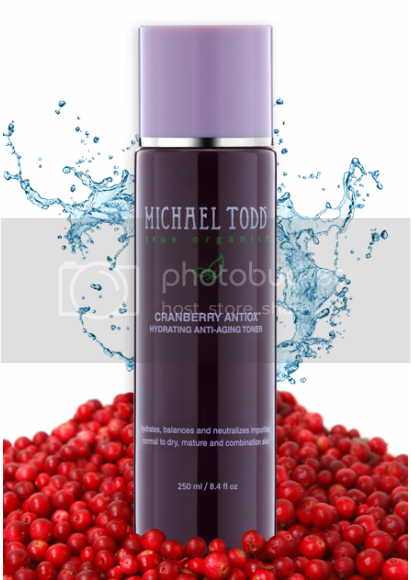 Pammy Blogs Beauty: Treats for Your Skin: Pixi's Glow Tonic, Michael Todd's Cranberry Antiox, and LUSH's Tea Tree Water! Treats for Your Skin: Pixi's Glow Tonic, Michael Todd's Cranberry Antiox, and LUSH's Tea Tree Water! After doing without toner for years (I am not sure why? ), I have rediscovered using toners after cleansing and am fully hooked! There is just something so refreshing about using a toner! Now that I have gotten used to using a toner again, my skincare routine does not seem complete without it! Now, there are many different types of toners on the market. Toners that clarify and target breakout-prone skin by refining pores and disinfecting the skin, toners that contain AHAs or BHAs to exfoliate the skin, and hydrating toners with antioxidants and other anti-aging ingredients. Personally, I like all of the above. One of my biggest tips when it comes to skincare is to give your skin what it needs...and what it needs might be different depending on the time of year or even the particular day. Example: During my recent pregnancy, my skin got quite oily and breakout prone: so I discovered and fell in love with a toner that disinfected my skin and reduced my oil and breakouts. Here are a few of my new favorite toners in current rotation in my skincare routine. They are all very different...yet, all very great! An Exfoliating Toner: Pixi's Glow Tonic, An Anti-Blemish Clarifying Toner: LUSH's Tea Tree Water, and a Hydrating/Anti-Aging Toner: Michael Todd's Cranberry Antiox Toner. To find out a bit more about each toner, please click "read more" below. Did you know that Pixi Beauty now has a skincare item available in the US??? As a huge fan of their cosmetics, I am really excited to see them branching out to skincare. Enter Pixi Skintreats Glow Tonic! Apparently this toner was so popular in the UK that it reached cult status. So, Pixi decided that they had to bring it over here to the US. Well, I am so glad that they did! This is a great Toner to use after cleansing and before applying a serum. The Glow Tonic ideally preps skin for maximum absorption of treatment serums and moisturizers. So, I like to use this toner on nights that I know that I am going to apply either a serum or treatment product. Another home-run product for me from the fabulous Michael Todd True Organics line! You all may remember that I am obsessed with Michael Todd's Knu Serum (so much so that I have already purchased a backup, lol!). Well, this toner is impressive as well! It is extremely soothing and hydrating, is packed with antioxidants, and helps to prevent breakouts. You can't go wrong with that combo! Most of all, it just feels so soothing and hydrating on my skin and leaves my skin so soft and clean. I feel that this toner helps to keep my skin hydrated and clear. Plus, it is so gentle. No irritation at all! I am thrilled with this toner and am going to continue using it. I love that it can give an anti-aging boost to your skin while also providing light hydration and gentle clarification. This toner was an absolute life-saver for me when I was pregnant! As many of you know, there are many acne-fighing skincare ingredients that are best avoided in pregnancy. That left me scrambling to find something to help with my oily and breakout-prone pregnancy skin. 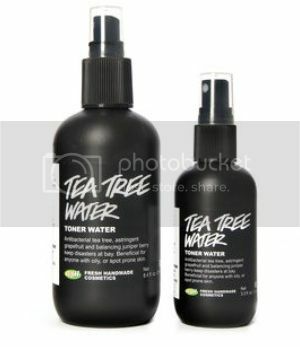 Enter LUSH Tea Tree water! There is no question that this toner helped to clear up my skin! Plus, it really cuts through any excess oil on your face. While I am not longer pregnant (we welcomed baby Jackson in January!) my skin is still combination and oily on the chin and around the nose. 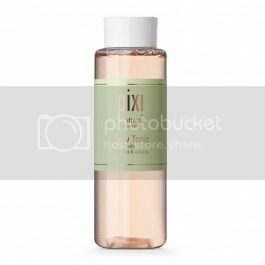 So, I continue to use this toner whenever I am feeling a bit more oily or when I have a breakout. I adore the scent of this toner. Plus, it feels great going on while also being non-drying. Also,props to the pump bottle. For some reason, I prefer a toner with a pump (even though I spray it onto a cotton pad). As always, thanks for reading! What toners do you love??? I am always looking for great recommendations. Be sure to check out my luvocracy collection and "trust me" there ! Great picks! LUSH Tea Tree toner is also one of my all-time favorites. I had no idea Pixi made toners as well, as I've always viewed them as a makeup brand and nothing else. The Michael Todd one looks interesting. I would be keen to try it. I never knew Pixi has skincare products. I should try that toner! I've heard SO many good things about that Pixi toner! Thank you for the tips on HOW to use the Pixi Toner! I was wondering. I'm on the fence about toners. I read that many cleansers now include toners in them, so they're unnecessary,but then so many skin care lines include them. I don't like the stripping toners of my youth, but now they have different kinds, like you've shown here. augh! I would love to try any of these! I love toner but I've never tried any of the ones you mentioned. I'm intrigued by the Lush! Love Lush's Tea Tree water! I'm loving the Pixi. I've been using it like it's my job and normally I never remember to use toner! This is a great list - thank you for sharing!